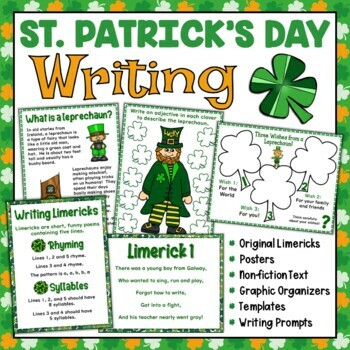 This St. Patrick’s Day Writing Prompts pack offers you a range of Graphic Organizers and Templates to help engage and encourage students to write about St. Patrick’s Day. 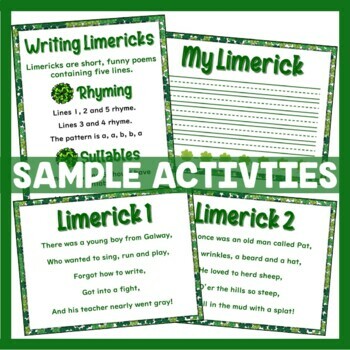 The pack includes original limericks, non-fiction text and writing prompts. Posters are also included. 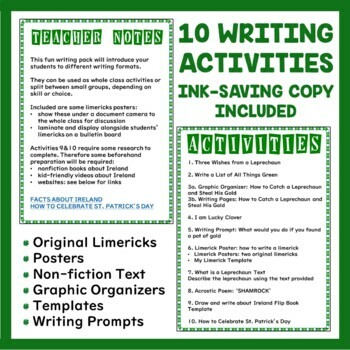 There are 10 writing activities in total. 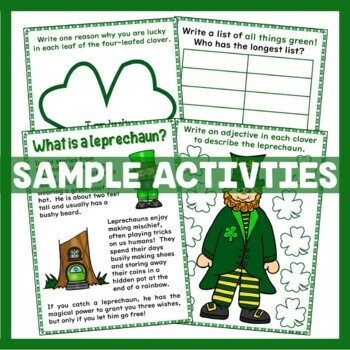 The ideas in this pack may be used as whole group activities or split through small groups, depending on skill and choice. Blackline versions are also available, where appropriate, should you wish to save on ink. ACTIVITY 2: All Things Green!